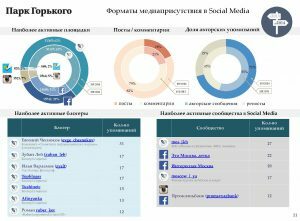 In addition to the conventional media, Ex Libris monitors and analyses the social media including blogs, forums, social networks, and multimedia hosting platforms. Knowing how the social media work, we use a hybrid approach that combines computer-based processing and human analysts for research purposes. Social networks, blogs, instant messengers, video hosting platforms, websites with reviews and comments, digital media with the possibility of commenting. 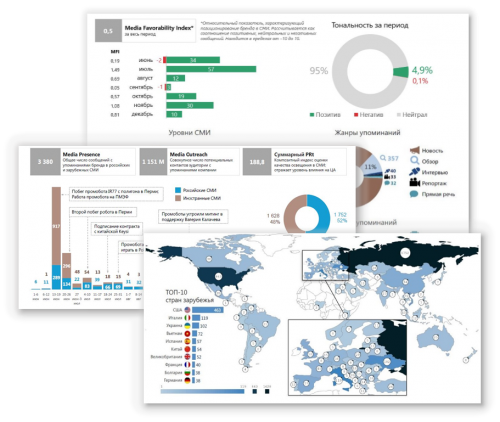 In-depth analytics and present-day visualization. 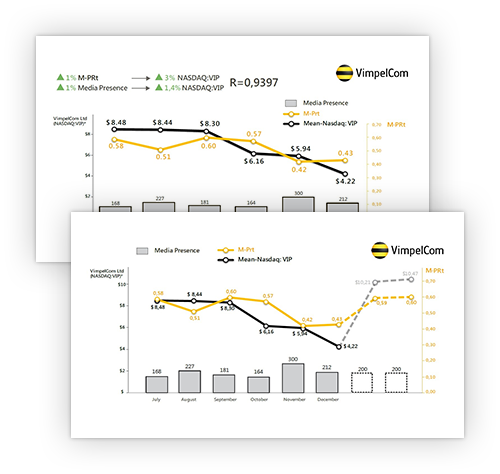 From the communication strategy to setting KPI. 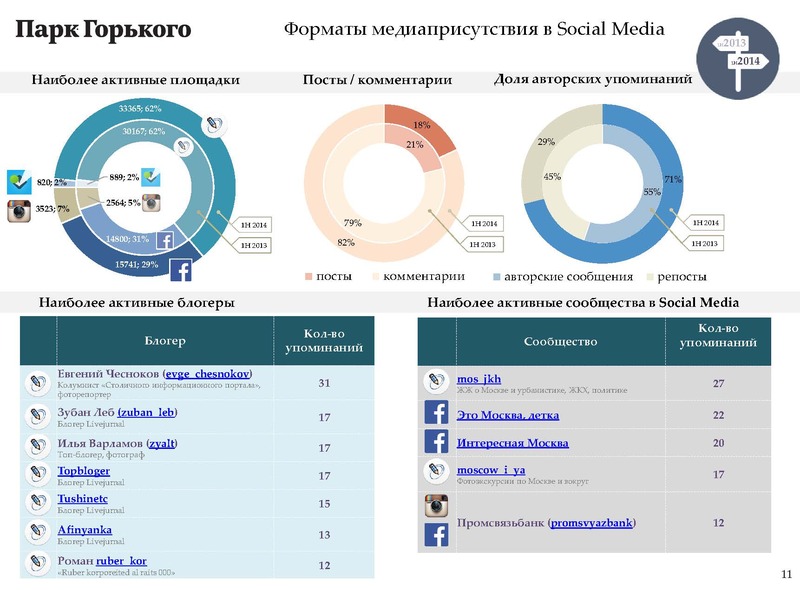 Targeted participation in landmark discussions at forums, on blogs and in social networks. оп Monitoring on a monthly or a real-time basis. Media monitoring and analysis 2017. A one-time project. Promobot is a Perm-based hi-tech company that manufactures and sells the first absolutely autonomous service robots of original design. 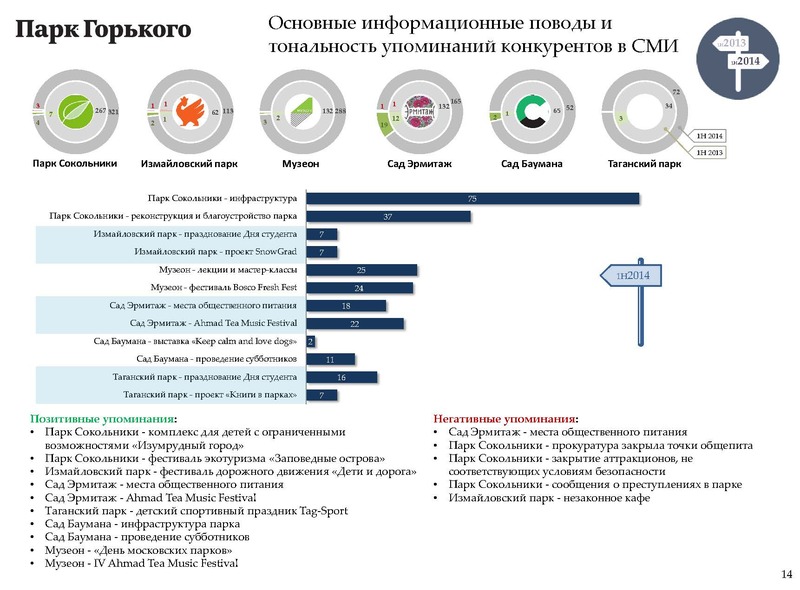 Established in 2013, the company performs studies under the grant support from the SKOLKOVO foundation. 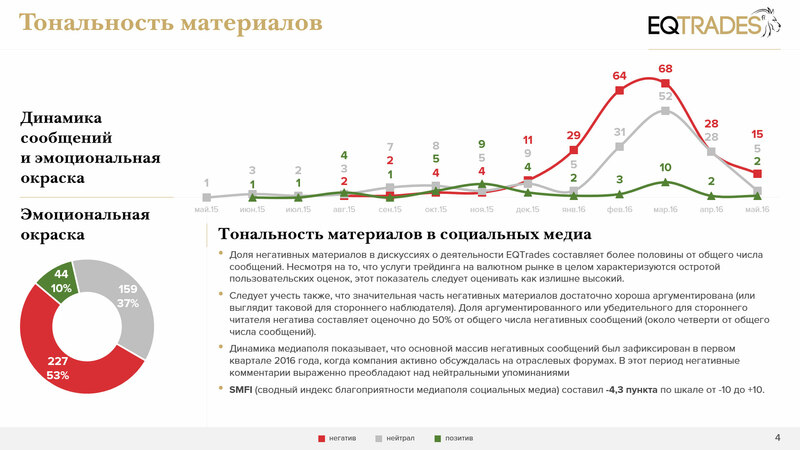 Ex Libris team conducted a large-scale one-time survey into the company’s media coverage. For BOOM Communications, Promobot’s PR agency, and Ex Libris, the key task of the study was the picture of the real media effect of an unusual incident: The unplanned runaway of a Promobot robot from a test facility in Perm, Russia. 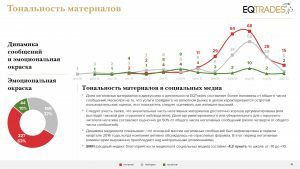 The study resulted in a report with comprehensive data on media outreach, sentiment, geographical distribution of the coverage and several other metrics, including integral media activity indicators, which helped Promobot measure the effect of the event on its business. 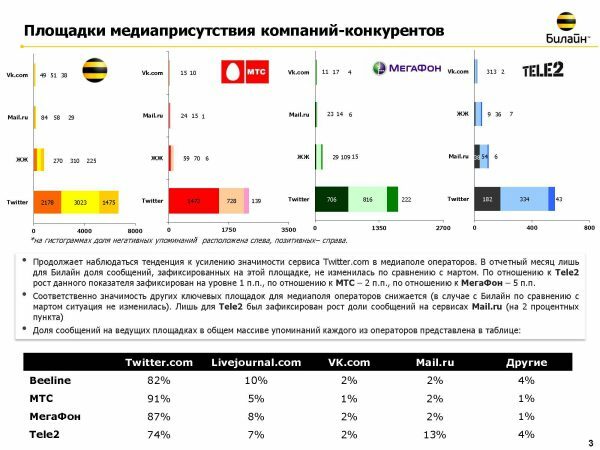 PJSC VimpelCom offers integrated mobile and fixed-line telephony services, international and national communication, data transfer, telematic services, and Internet access under the Beeline trademark in almost all regions of Russia and six countries of the CIS; it is one of “The Big Three” mobile operators in Russia. Ex Libris Agency provides comprehensive media measurement support to the Beeline brand. We have designed the KPI framework for the company employees and measure it along with other metrics on a regular basis. On top of that, a suite of products for monitoring the social media space has been designed (including general reviews, thematic community efficiency, reviews of recommended platforms, socio-demographical analysis, monitoring studies, and dashboards). 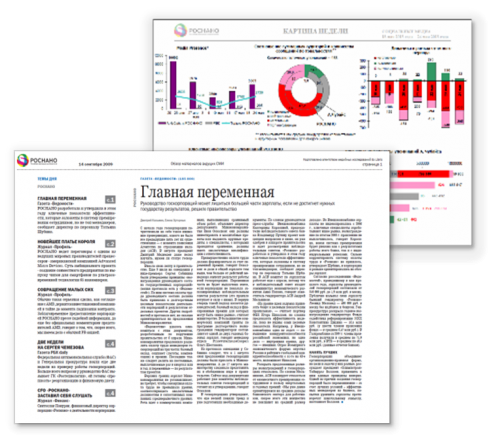 Ex Libris provides daily digests and reviews covering Russian and international media, monitors the coverage focusing on important events in the industry and negative reports and sending instant alerts; it also makes analytical reports to assess qualitative parameters of the brand media presence. Additionally, a customized super-flexible and easily tuned PR efficiency evaluation framework has been prepared. Rusnano is a state-controlled corporation established in 2007 to promote nanotechnologies. The company’s key business is investing in privately-owned projects to create new nanotechnology production. Ex Libris team prepared a suite of solutions that allowed building a framework to assess the media coverage and arrange daily efforts in order to spot exposures and risks for the company reputation. Ex Libris and RUSNANO jointly worked to respond to posts in the blogosphere, looked for solutions in ambiguous problematic aspects and discussed them, and were also engaged in numerous off-the-schedule one-time research tasks. 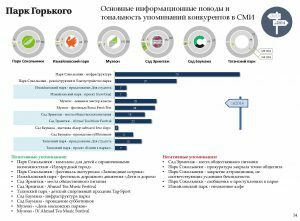 In 2007, Oleg Kuvshinnikov, the Mayor of Cherepovets, hired Ex Libris to conduct a large-scale media research to review the city’s branding program and draw up a set of guidelines to work out a successful communications strategy. 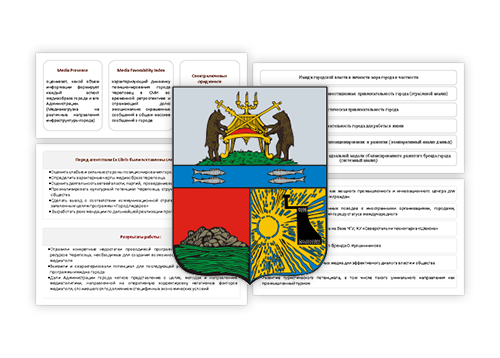 The research provided the city administration with a clear overview of the mistakes made in the development and implementation of the previous strategy, as well as specific recommendations on how to avoid them in future and what issues the officials should double-down on to make full use of the available resources in tackling municipal tasks. EuroChem is a Russian chemical company and a leading mineral fertilizer manufacturer in the country. Ex Libris provides daily local and national media monitoring covering the company and its rivals’ business, as well as key industry events. 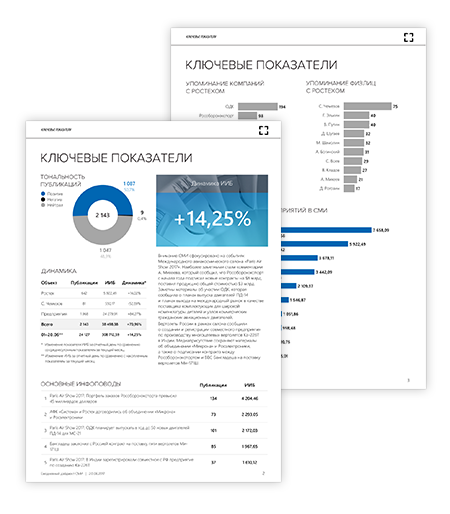 An analytical report is prepared on a weekly basis to cover the highlights of a week and including statistical data as well as a summary of newsbreaks. On top of that, we hold additional analytical research upon request.